In 2016, 63% of employers predicted the volume of hiring would increase the following year. Whether you’ve experienced a surge in hiring or are high volume recruiting in industries like retail, hospitality, healthcare, etc., the candidate’s experience must still be at top of mind. Why? Because nothing can damage your employer brand like a poor candidate experience especially when 72% of those candidates share their poor experience online. 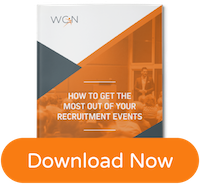 Get the most out of your recruiting events by downloading this free resource! Poor employer reviews on Glassdoor from disgruntled customer service rep applicants can affect any candidate’s perception of your brand no matter what they’re applying for. So how do you ensure a 5-star candidate experience in high volume recruiting? Talent acquisition technology is becoming more advanced than ever. Let it do its job so you can cover the groundwork that matters. Ask a “killer question” to determine right off the bat if an applicant qualifies for the position they want to apply for. This tool can set the minimum expectation upfront and helps avoid a situation where a candidate is placed into a detailed application process, only to later be told that they don’t meet the minimum requirement. Analysis, filtering, automated decisions and recommendations are very powerful tools, providing transparency and driving efficiency throughout the recruitment process. This is made possible through fast acting recruiting software that will screen, assess, track background check progress, reference scheduling and more. How do I create a timeline for high-volume recruiting? Create your job posting internally. Select your job boards, sourcing method or recruitment tactics. Place your job postings wherever relevant and kick off sourcing and recruitment teams. Conduct phone screens. Doing these more or less en masse, can help you decided your interview rubrics, standardized questions and whether or not to implement a video or phone screen system to automate the process. Work with your hiring team to make a decision to hire. High-volume recruiting teams and hiring managers may find that a scoring system works very well. Send out offer letters. Again, templates and timing can make this a great experience for your candidate, as well as your team internally. Finally, set a date for when you’d like to receive acceptance. In high-volume recruitment, this is important to know, so training and onboarding can begin immediately. Who has experience in the seat? Who will know the metrics and who can train/mentor? With all the backend screening and analysis taken care of, talent acquisition teams have more time to focus on personalized outreach to give the best candidates a deeper insight into what the inside of your company looks like. Using a smart recruitment software made for high volume recruiting can also help you hit touch points with all candidates, whether they’re qualified or not. Oleeo Hot Take: Some ask how you can simplify and still set candidate expectations? That’s where recruitment communications and employer brand comes in. Let candidates know on your career site, candidate communications center or through personalized follow-up emails or SMS how your recruitment process runs. Tell them what they can expect and how to be successful in your hiring process. Use intelligence to ensure relevant content is shown to the right person at the right time, to help increase adoption and give the candidate a useful heads up. Sure, not every candidate will read all that, but the ones who do are ready to become star players on your team! Just like you’re hiring in bulk, set your processes in bulk. Schedule large windows of time for very specific tasks such as communication, processing, and tagging several candidates at a time. Responding to an overflowing inbox every morning sounds daunting. Use tools like MixMax to save templates for every stage of the hiring process. Templates give you a professional and personalized framework without sounding rushed or uninterested. High volume recruiting has a lot going on, leaving the chance for things to fall through the cracks high! Did you know 65% of job seekers report never receiving correspondence from the company they applied to? Nothing could be worse for your employer brand and reputation as an employer! Whether the news is good or bad, candidates need to know where they stand in the process: 77% of professionals want to hear good news by phone and 65% want to hear bad news by email. Oleeo Hot Take: Find a recruiting software that is designed for large-scale recruiting. A system with bulk processing will enable you to send emails to large volumes of candidates with one click. Bulk responses don’t have to be boring either. Keeping the candidate experience top of mind can make routine communications something where your employer brand shines through. Remember, the job opening may be one of hundreds to you, but someone out there is very excited about it! 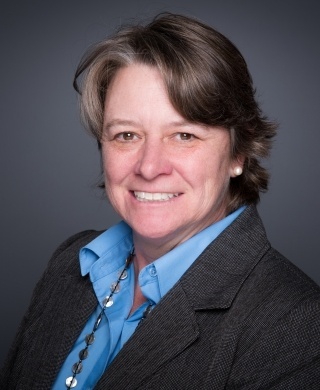 Even when communicating in bulk, you can give additional information, be very clear about next steps and show off some of that mission, vision, values flavor that makes your organization special. Remember: Staying in constant communication with potential hires is important so you don’t lose them along the way to competing employers. This can be executed with recruitment tools like email and SMS. In the end, introducing automation to your hiring process will mean less administration work for your hiring team and a lowered chance of leaving your applicants in the dark. Companies are using video interviewing, hiring events and team interviews to ensure that personal touch to the later stages of hiring. Even when you’re hiring in bulk, you can do this too! While it might work to send people through in batches at the beginning of this cycle, as they get closer to the job of their dreams, focus on how you can make the experience personal. For example, having a group of new employees start together, train together and match with mentors, you’ll want to keep their interviews, onboarding packages, offer letters and welcome individual. Oleeo Hot Take:Research shows applicants will refuse to complete an application if it’s arduous or takes too long. Since many high-volume situations involved hourly workers, having an easy to fill out application makes even more sense. If you want to hire a lot of qualified people fast, you can always break the application process down into smaller more manageable chunks. This helps to prevent a high dropout rate and can be used to continue the engagement with candidates, asking them additional information as they progress through the application process. This approach is often used with mobile devices. Keep a tight talent acquisition process, narrow your recruiting data to attract talent that matters and schedule your days out in bulk. Giving all 900 candidates who applied for your open position fair attention is seemingly impossible, but with the help of Oleeo for High Volume Recruiting, you can appear to be doing just that! Technology built for high volume recruiting is necessary to perform screening and interviewing effectively. An outdated system, that doesn’t track the right data or use the right features can end up costing your recruitment department more in the long run. What should you look for in a high-volume recruitment system? How can talent acquisition software best serve us? - Are you struggling just to get candidates in the door? Then a robust applicant tracking system focused on sourcing and job post distribution is your best bet. If a lack of candidates isn’t your problem, but managing the influx of them is, then look for an ATS that provides scheduling and internal management for interviewing and screening functions. How important is compliance? - High-volume recruiting tends to happen in industries that also require tight compliance, like healthcare. How many hires do you need to make and how? -Hiring 100 people for 100 different roles is different than hiring 100 people for 1 role. Map our your exact hiring needs in terms of roles/vacancies and the amount of people needed. Some high-volume recruiting solutions may tout they can hire multiple people at once, but might not have the capabilities you truly need say you were to hire 100 people for one specific role. What is your price point? - Applicant tracking systems are available at all price points. Don’t be fooled by a large price tag and assume everything you need will be covered and vice-versa. Oleeo for High-Volume Recruiting combines the power of its Recruit, Engage and Interview products to help recruiters in high-volume industries like retail, hospitality, healthcare, travel and logistics to manage the entire recruitment process, reduce the time to hire, improve the candidate experience (to improve employer brand) all without jeopardizing quality. Find out how Marks & Spencer used it to go from application to hire in just 3 days!